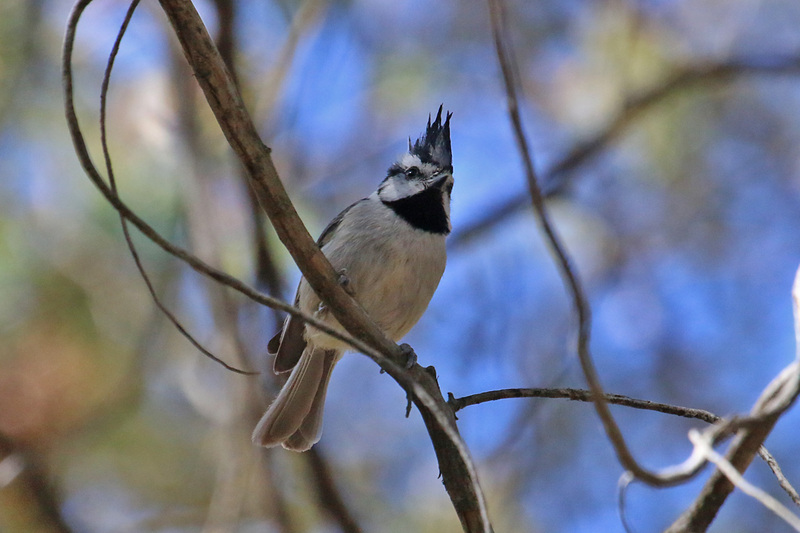 A morning of target birding in Madera Canyon and Green Valley, which was productive despite strong winds. 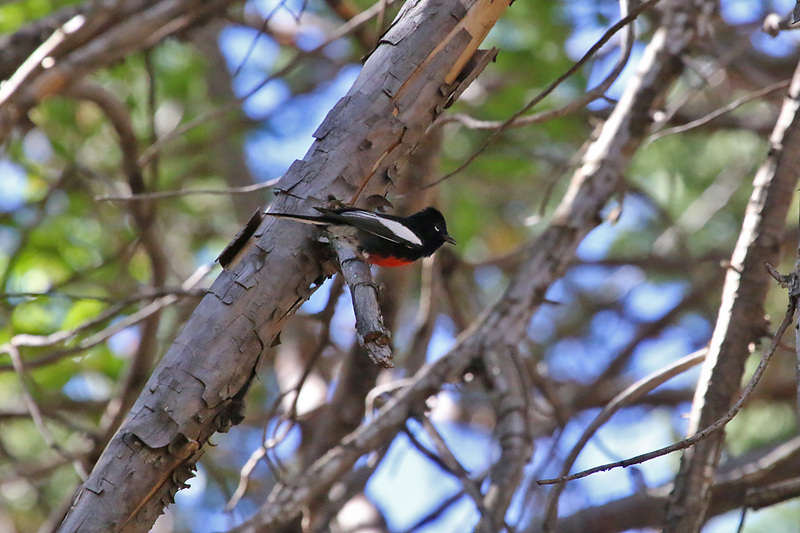 The feeders were busy early morning, with BLACK-CHINNED, BROAD-TAILED and BROAD-BILLED HUMMINGBIRDS, DUSKY-CAPPED FLYCATCHER, AMERICAN ROBIN, WILSON’S WARBLER, PAINTED REDSTART, LINCOLN’S SPARROW, GREEN-TAILED TOWHEE, HEPATIC TANAGER, and a bunch of BLACK-HEADED GROSBEAKS. 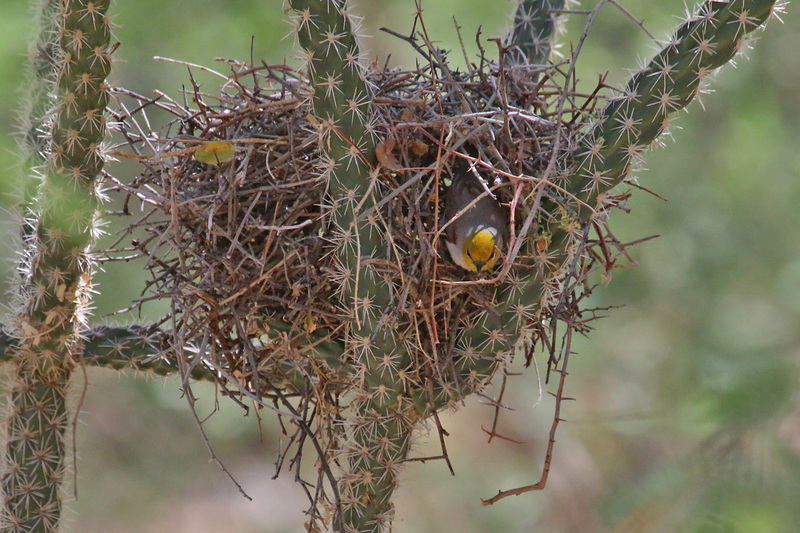 Steve and his staff have done a fantastic job maintaining and improving the feeding station as well as the habitat around the lodge. Thanks, guys! 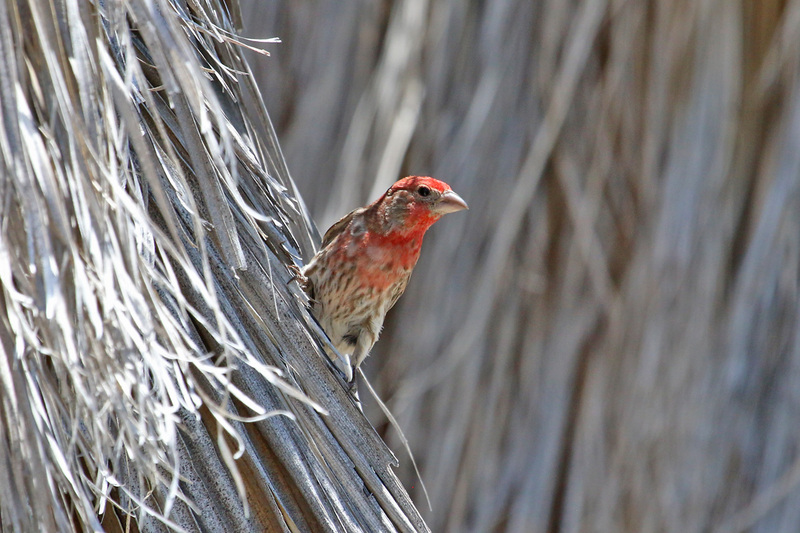 I can’t recommend it highly enough, as both a birding site for day visitors and excellent birding accommodation. 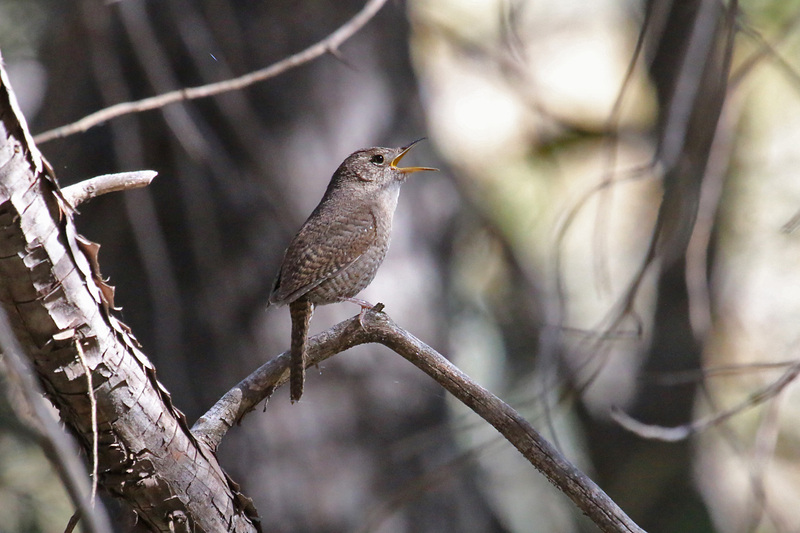 We didn’t see or even hear an Elegant Trogon, and neither did any of the other birders we met. They’re here, but were keeping their heads down. 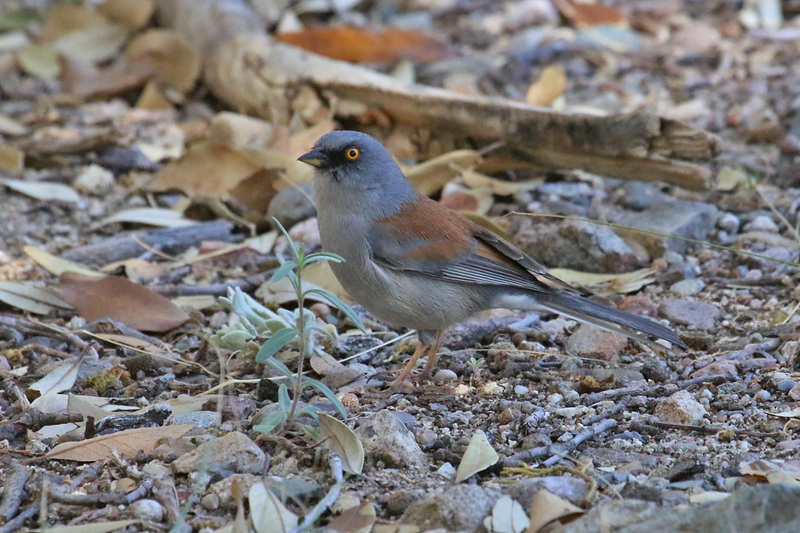 We did see a pair of MONTEZUMA QUAIL stalking away through the grass at the side of the trail, as well as MAGNIFICENT, BROAD-TAILED and BROAD-BILLED HUMMINGBIRDS, three migrant RED-NAPED SAPSUCKERS, DUSKY and DUSKY-CAPPED FLYCATCHERS, HUTTON’S and PLUMBEOUS VIREOS, ‘BROWN-THROATED’ HOUSE WREN, HERMIT THRUSH, AMERICAN ROBIN, GRACE’S, BLACK-THROATED GRAY, TOWNSEND’S, HERMIT and WILSON’S WARBLERS, PAINTED REDSTART, YELLOW-EYED JUNCO, HEPATIC and WESTERN TANAGERS, and BLACK-HEADED GROSBEAK. An hour here was productive with some nice highlights. 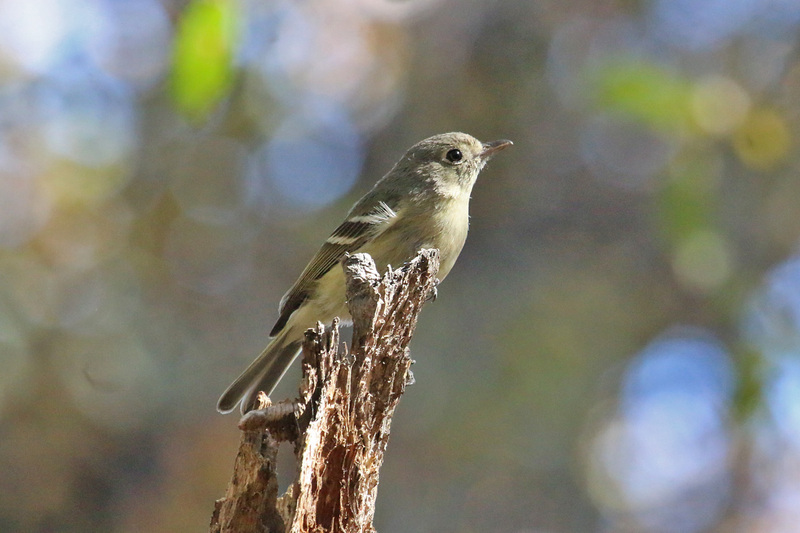 We joined a small crowd watching a statuesque, recently-fledged juvenile BLACK-CAPPED GNATCATCHER waiting patiently for its parents to feed it. 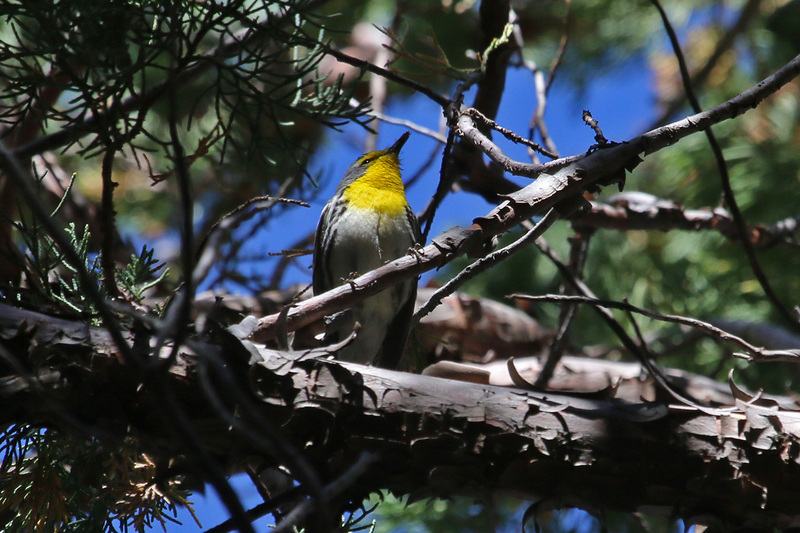 Warblers were a feature with at least five WILSON’S WARBLERS passing through, as well as summer resident YELLOW and LUCY’S WARBLERS. 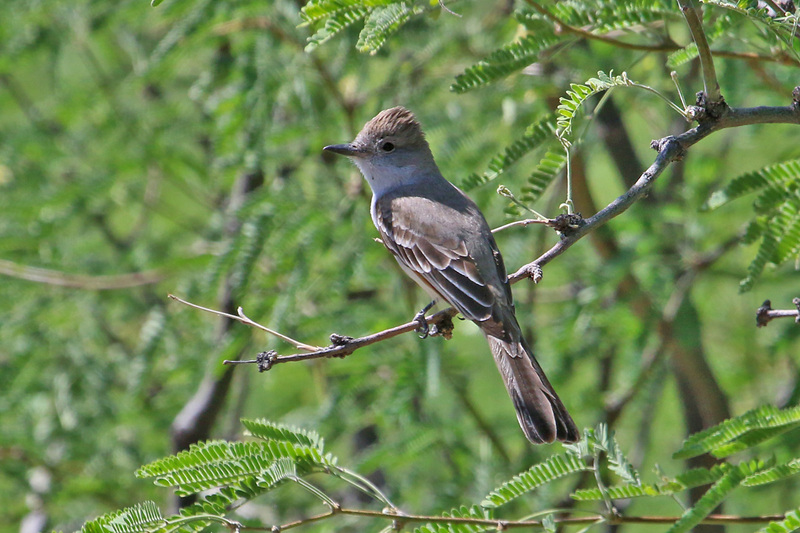 We also noted ANNA’S and BROAD-BILLED HUMMINGBIRDS, NORTHERN BEARDLESS-TYRANNULET, DUSKY-CAPPED and ASH-THROATED FLYCATCHERS, BELL’S and WARBLING VIREOS, HERMIT THRUSH, LINCOLN’S SPARROW, CANYON TOWHEE, and HEPATIC TANAGER. 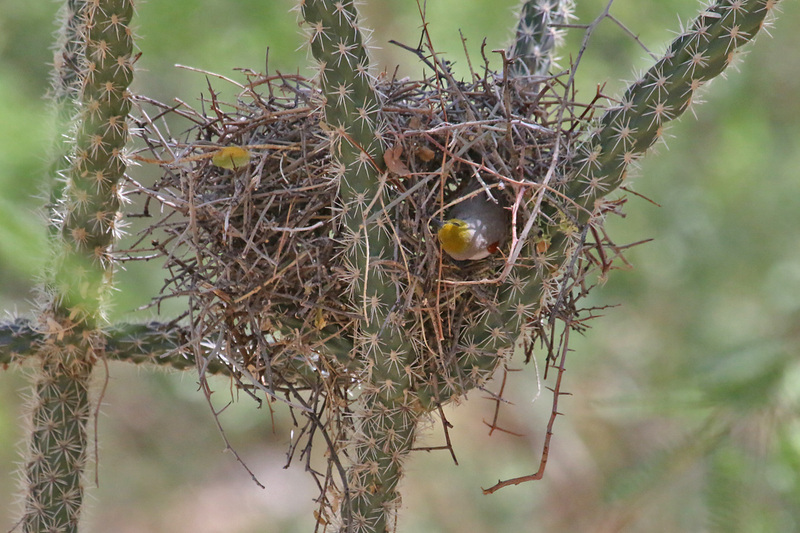 My personal highlight was watching a VERDIN building a nest in a cholla cactus. 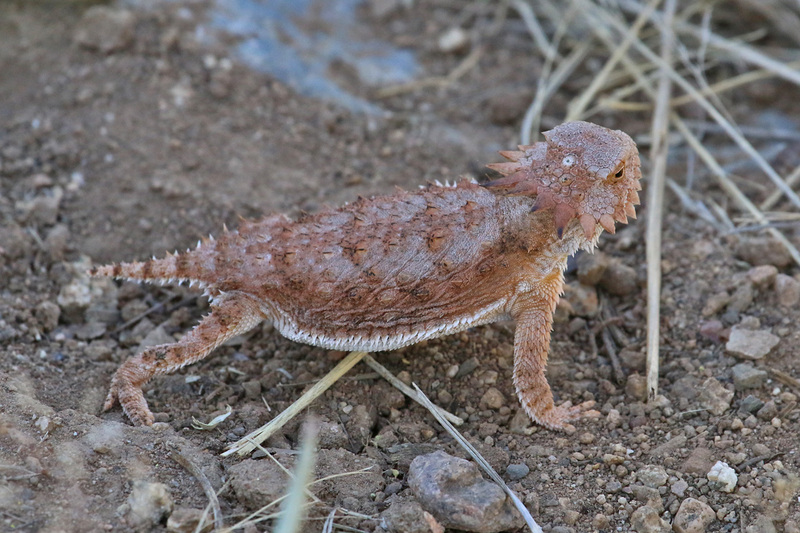 We also found a splendid REGAL HORNED LIZARD. 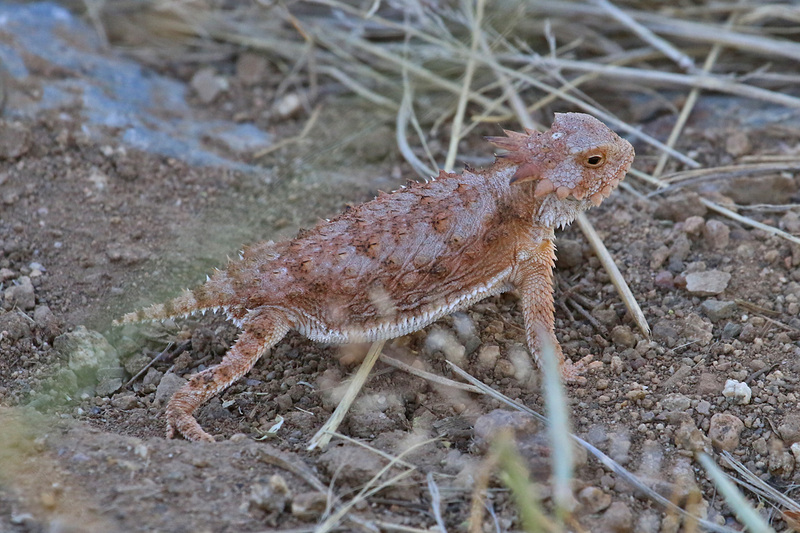 It’s always fun to see a ‘horny toad’! 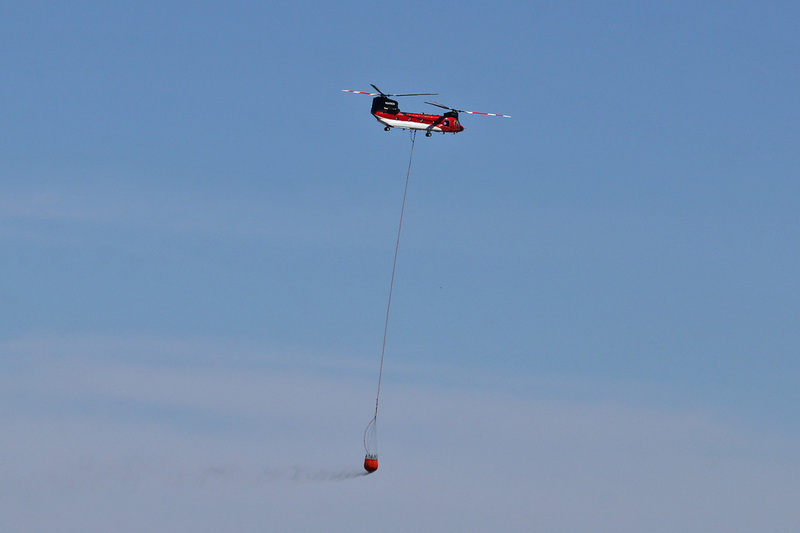 Far less fun, we watched a fire-fighting helicopter taking water to our first big wildfire of the season, the Sawmill Fire, which was apparently started by an off-duty border patrol agent who was target shooting on public lands, using ‘exploding targets’. How dumb! 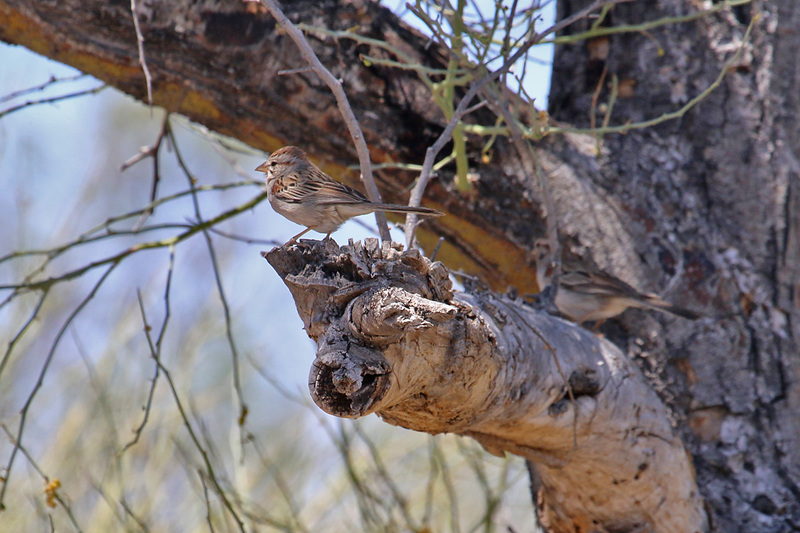 The fire has already burnt a huge path through the northern part of the Santa Rita Mountains, taking out excellent wildlife habitat in Box Canyon. 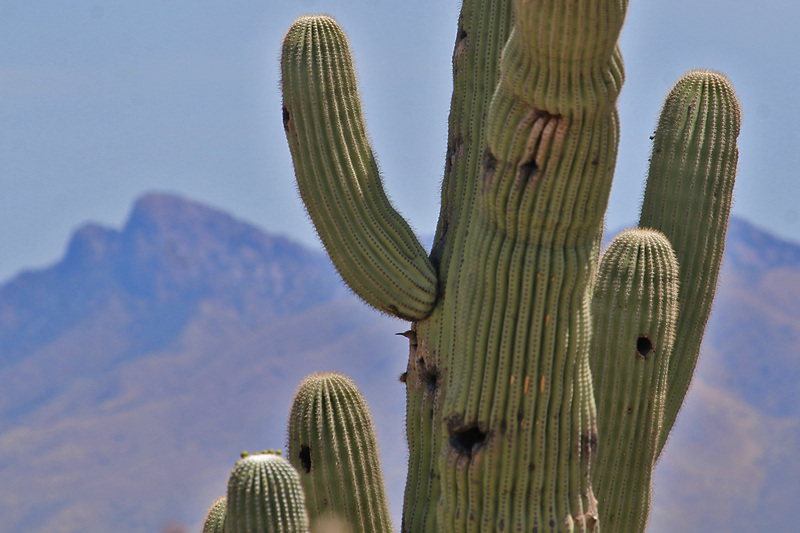 The strong winds are pushing it towards the grasslands of Las Cienegas. This is so depressing on so many levels. 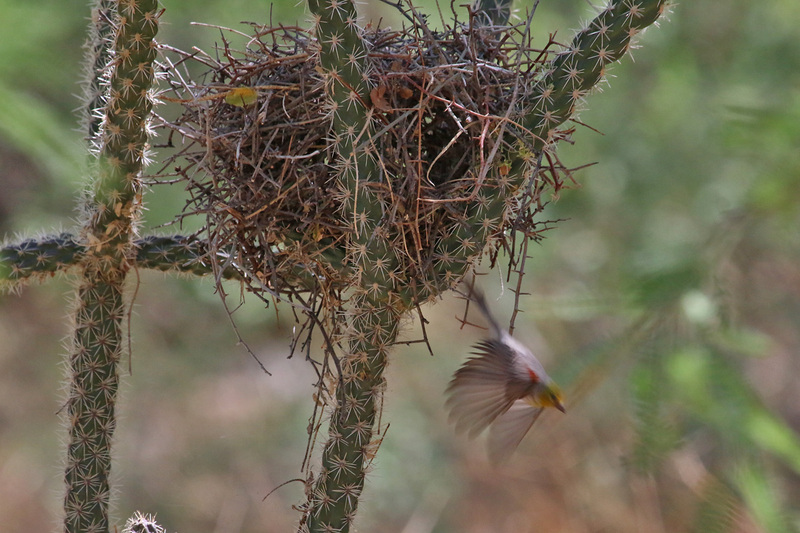 We ended the morning in prime Sonoran desert habitat, which gave us HARRIS’S HAWK, a pair of GILDED FLICKERS entering a saguaro nest hole, CACTUS WREN, CURVE-BILLED THRASHER, RUFOUS-WINGED SPARROW, and a pair of HOODED ORIOLES. 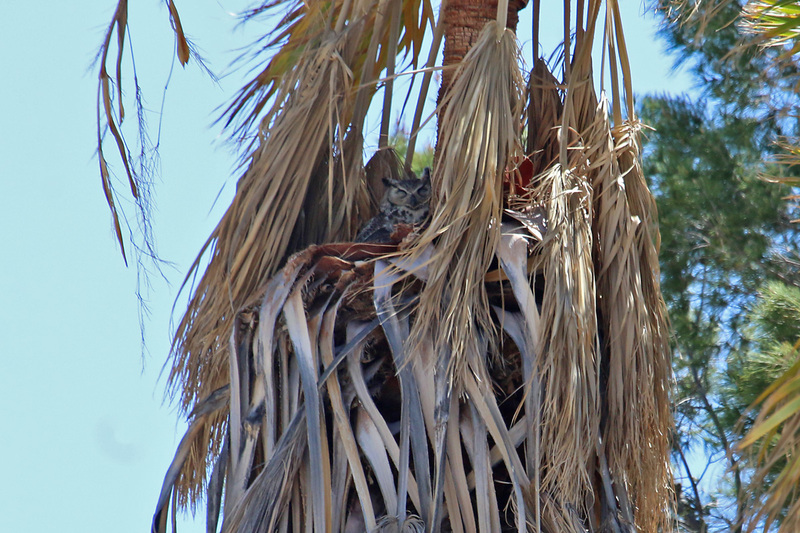 A GREAT HORNED OWL on a nest in a palm tree was a nice find.